Posted	by Puerto Realty on Monday, May 28th, 2012 at 9:21am. Novo Cancun is located in Puerto Cancun and is known as one of the premier residential communities in Cancun. Residents enjoy the some of the best residential amenities in Puerto Cancun, which include: gym, lounge, beach access, paddle tennis, tennis courts, 24-hr security, pool, snack bar, spa and many others. 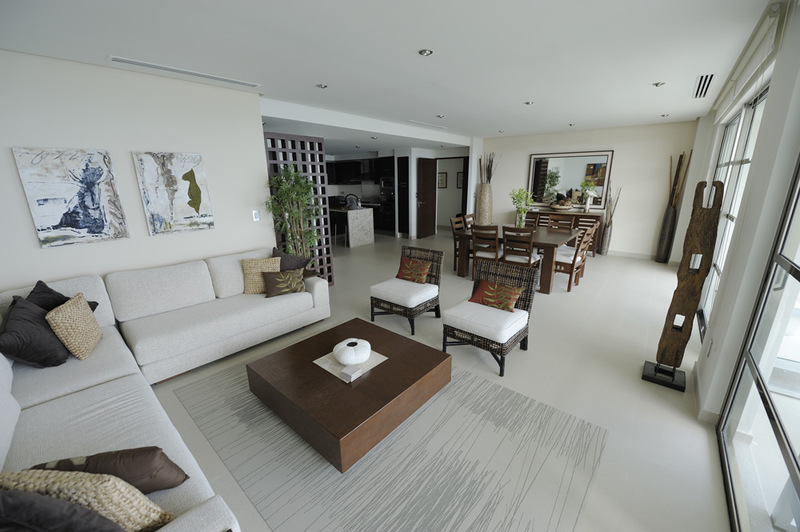 Puerto Realty currently offers five condominiums for sale in Novo Cancun. These moderately priced condominiums vary from two bedroom units on the lower floors, a professionally designed condominium with three bedrooms on the 17th floor, to an impressive penthouse on the top level. Puerto Realty is featureing the condominium in the Boreal Tower #1704 in Novo Cancun. This condominium has three bedrooms measuring over 2,800 square feet, in which 600 square feet are terrace space. The condominium has custom made wood furniture, three bedrooms, a large space for the living and dining room, fully equipped kitchen, and a TV room. The owner invested over $100,000 USD for furniture, upgrades, and improvements.